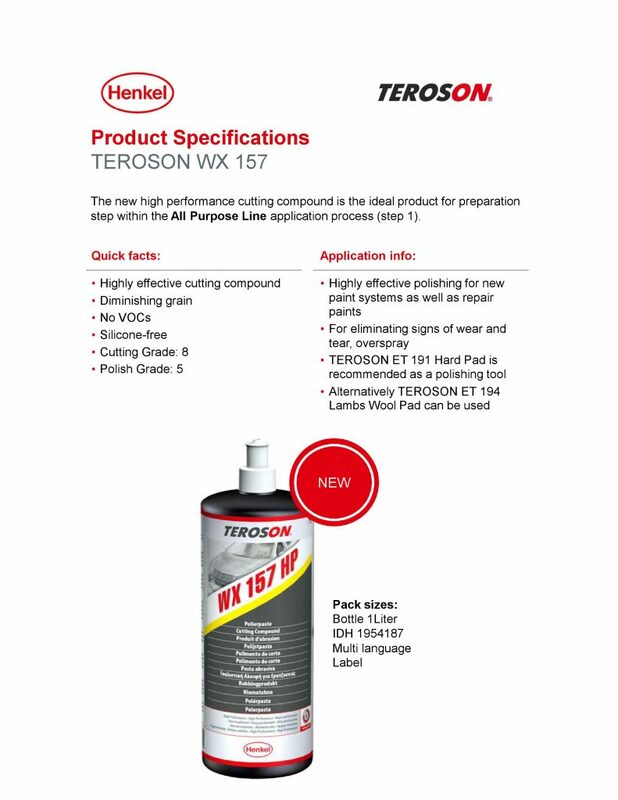 TEROSON WX 157 based on diminishing grain technology. The relatively coarse grit texture at the beginning of the polishing process breaks down steadily to a fine grain during use. Therefore it is ideal for restoring and refinishing paint jobs. It has low dust emission and is Silicone-free.